Hales Gallery is proud to announce its third solo exhibition of recent work by performance and video artist, Michael Smith. For over 30 years, Smith has explored the mediums of performance, video and installation to form what is a unique and influential career. Fountain is a newly developed video and photo installation centred on a timeworn theme; the quest for youth. The exhibition is also the continuation of a series of misadventures featuring his eponymous 'everyman' persona, Mike, a hopeful innocent who believes everything and understands very little. 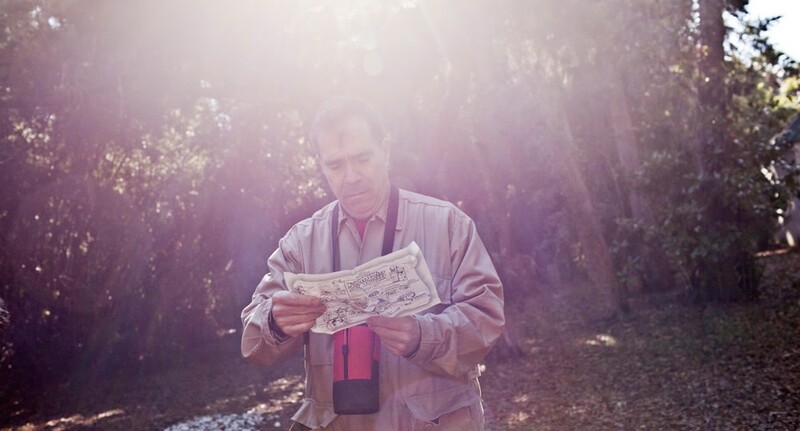 In this episode Mike is preoccupied with recapturing his youth, as seen in a series of photos documenting his journey to 'The Fountain of Youth State Archaeological Park' in St. Augustine, Florida, a Florida tourist trap designed to both inform and misinform visitors. 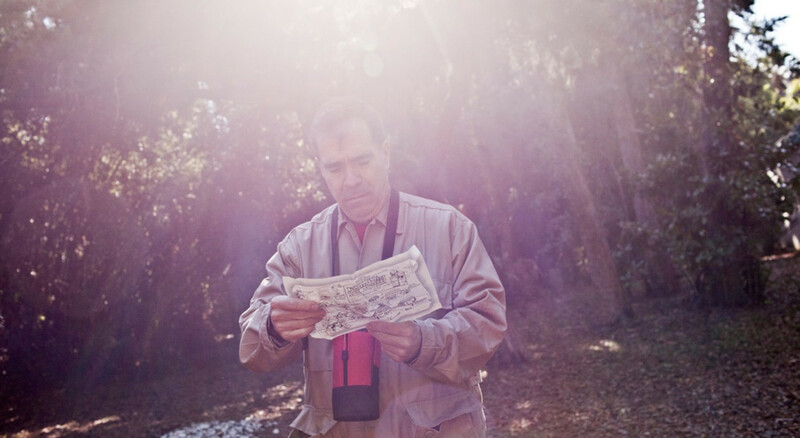 The photographs of his pilgrimage are exhibited in proximity to a video installation documenting Mike on another search, this one much closer to home, as he looks through his pockets for his glasses, keys and cell phone. His absentminded behaviour indicates it is possible he may forget his goal while on the quest for the ever-elusive elixir of life. In spite of this, Smith is hoping, together with 'Mike', to approach aging as a tourist on an uplifting journey, rather than the reluctant commuter caught up in the inevitable junket of life. Michael Smith (b. Chicago, USA, 1951) has an extensive performance and exhibition history that began in the mid 70's. Selected shows and performances include those at MOMA (USA), The Whitney Museum of American Art (USA), The Metropolitan Museum of Art (USA), The New Museum (USA), Leo Castelli Gallery (USA), Sculpture Center (USA), The Brooklyn Museum (USA), MOMA P.S.1 (USA), Palais de Tokyo (France), Miami Art Museum (USA), White Columns (USA), The Walker Art Center (USA), The Wattis Institute (USA), Caroline's Comedy Club (NYC), Dance Theatre Workshop, Cinemax (NYC), MOCA LA (USA) and the Pompidou Centre (France). Smith's work is represented in numerous international collections including MoMA (USA), Metropolitan Museum of Art (USA), Walker Art Center (USA), Pompidou Center (France) and Museum of Television and Broadcasting, NYC (USA). Smith has collaborated with numerous artists including Mike Kelley, William Wegman, Seth Price and Mayo Thompson. For over ten years he has broken new ground in immersive installation art working in collaboration with Joshua White. In 2011/2012 the UK premiere of, A Voyage of Growth and Discovery, his major collaboration with renowned American artist Mike Kelley was shown at The BALTIC (Newcastle, UK). Smith was included in The Whitney Biennial in 2008 and his retrospective, Mike's World: Michael Smith & Joshua White (and other collaborators),organized by the Blanton Museum of Art, was also on view at the Institute of Contemporary Art in Philadelphia that year. He has been the recipient of a number of prestigious awards most recently the 'Alpert Award in the Arts' (2012). Smith lives and works in Brooklyn, NY and Austin, TX.